Here is the second of two podcasts that Bart and I were able to squeeze in just before the Patriots epic Super Bowl victory. If you listen carefully, you can hear the first of our party guests arrive, greeted by the howling barks of my dog, Nemo. First we kick off our latest franchise rewatch with The Bourne Identity, although it's really only a rewatch for me. Somehow Bart has managed to go 12+ years without ever seeing a Bourne movie, which is almost impressive. I was surprised at how well the first entry holds up over all this time. Bart was even able to overcome his longstanding disdain for Matt Damon and his "resting stupid-face," which actually comes in handy when he's playing an amnesiac. We also tackle the birth of the quick cut/shakycam fight sequence and I must admit that it's nice to see the earliest, best version of what's become an overplayed gimmick. After that we delve into the shocking Nightcrawler, which serves as further evidence of just how badly the Academy screwed the pooch on this year's Oscar nominations. Holy hell. Jake Gyllenhaal is nothing short of astounding as Lou Bloom, a freelance news cameraman who brings a whole new meaning to the word sociopath. It is a riveting performance in a breathtakingly ugly film and I mean that in a good way. 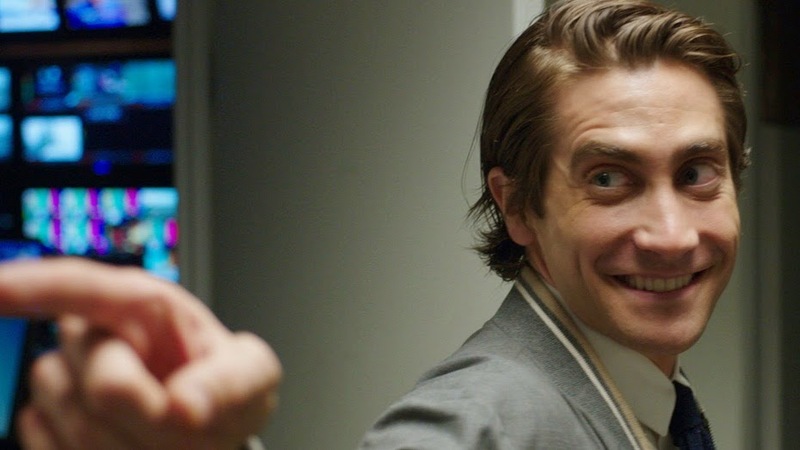 How Nightcrawler has managed to fly largely under the radar is utterly beyond me. Not only does the film demand your attention, but it stays with you long after it's over. This thing is a conversation starter to be sure. Between this and the upcoming Southpaw, it looks as if we're entering into a golden age of Gyllenhaal. I can't wait until he wins an Oscar and later generations go back and discover his seminal performance in Bubble Boy. Next Week: We continue on with The Bourne Supremacy and blast off with Jupiter Ascending.